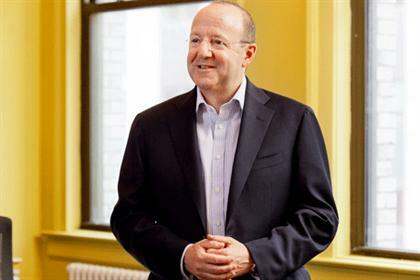 MWW is planning to go on an acquisition spree in the UK market, its CEO told PRWeek UK. Agency founder and chief executive Michael Kempner said he is looking to acquire "two or three" agencies in the next two years as part of an "aggressive" growth of MWW's UK presence. Kempner, who entered the UK market by buying Parys Communications in November, revealed he is in early stage talks with a half-dozen agencies. "We're very active in the acquisition market," he said, "and are looking at several firms from the sizable down to smaller niche players, ranging from consumer to corporate comms, technology to public affairs." Last week, MWW acquired Macias Media Group in Los Angeles with plans to use the firm to launch a practice focused on LGBT issues. The Democratic Party fundraiser launched MWW Group in 1986. The agency now has ten offices in the US. The firm earned $42.9 million in revenue in 2012, up 11% from the prior year. Successful growth in the UK is the first stage of a broader plan, Kempner explained. "A priority is to have a very extensive, deep, and important global network of firms, and the first place we did this was [acquiring Parys from Patrick Herridge, MD of MWW in the UK and other partners]," he said. "Now our job is to help him grow to the largest and best mid-size agency in the UK and use it as a launching pad to acquire offices in other core cities across the world." Emphasizing there would also be a focus on organic growth, he stated that though UK agencies worth $5 million or less in revenue were primary acquisition targets, he could be willing to look at firms with revenue as large as $10 million. Kempner was also open minded about what form this could take. "A priority today might be consumer, but that doesn't mean if I didn't find a perfect public affairs side I wouldn't do something there," he said. "It is about the cultural fit first and operating under the idea that if it makes sense then we do it, if not, we don't." This story originally appeared on the website of PRWeek UK. PRWeek UK Top 150 Consultancies 2019: which agencies grew the fastest?